← So called “logic” of gun bans. Years ago, I got an old revolver for a small sum. Eventually, it went to a good friend. Then the friend died, and I inherited it. It had great lockwork and tight lockup but was pitted and worn. It was fitted with laser grips. In low light, the adjustable laser is a big win over the black on black fixed sights. The rubber also made the already mild recoil even less noticeable. Chad Kandros (Nashville, TN) beadblasted and Cerakoted it for me. If you are in Florida, Spectrum Coating does great work (they OEM for several large gun companies). In Iowa, Galt’s Guns does equally well. It’s not perfect but I no longer have to worry about it rusting further. The slightly textured finish looks nice and feels good to the hand. 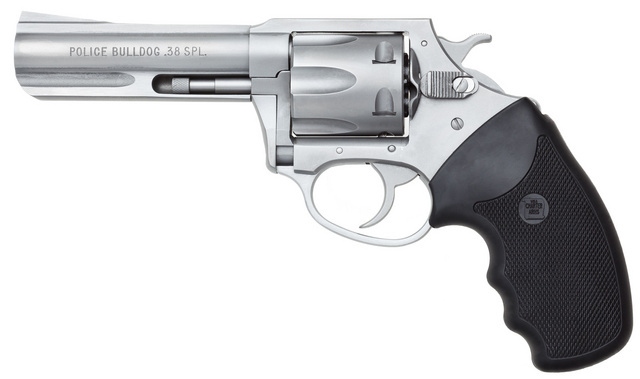 I plan on comparison-firing it side by side with a brand new 5″ revolver, a Charter Police Bulldog. 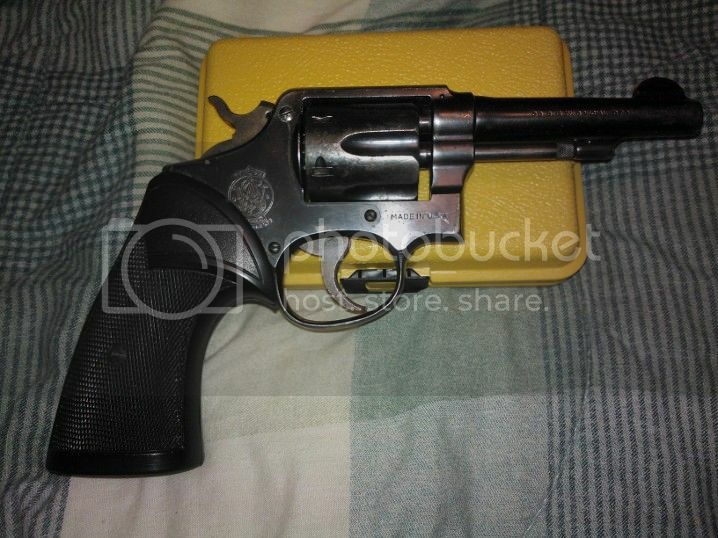 This entry was posted in pistol and tagged 38Special, Cerakote, new, old, revolver. Bookmark the permalink. I would bet that the Smith out shoots it. K frame Smith’s shoot better than almost anything. That anything is N frame Smith’s. Could be. 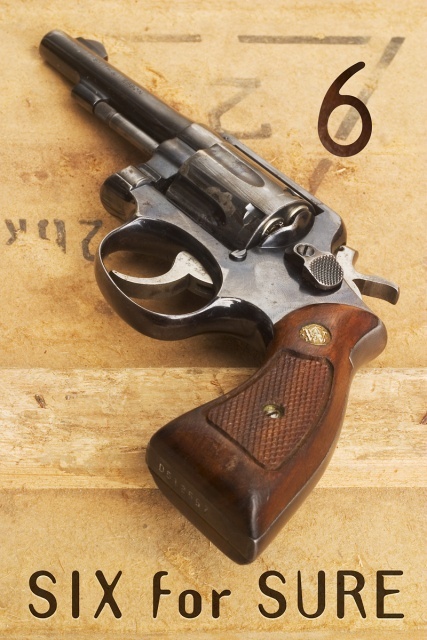 This revolver is unusually accurate. 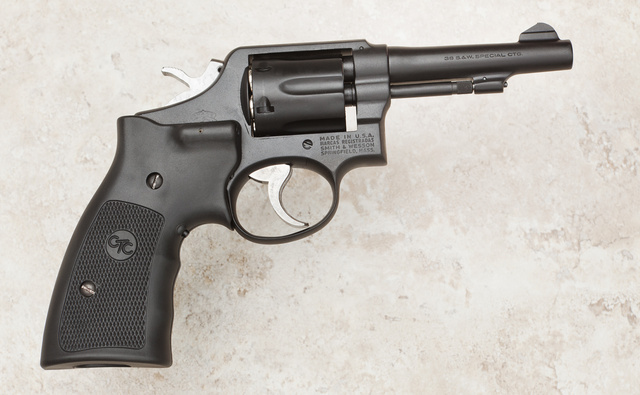 I have a rather strong weakness for old S&W revolvers since my first gun was a pre-10 very much like this one. I wish I had never traded my first but so long ago I didn’t have the sense of nostalgia I do now. Any time I stumble across one of these for less than $200 I feel compelled to pick it up. Love your’s Oleg. The ramp front sight puts it 1957 or older. 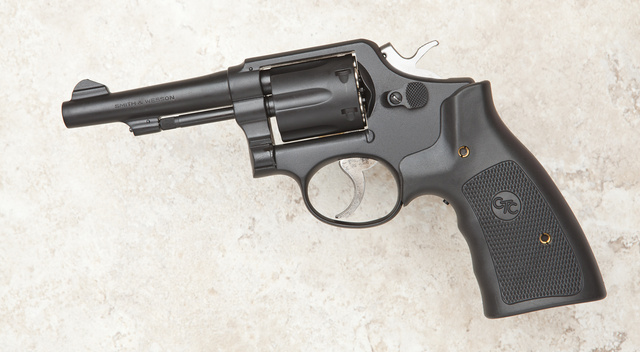 You should compare your revolver with a new Smith and Wesson model 64. 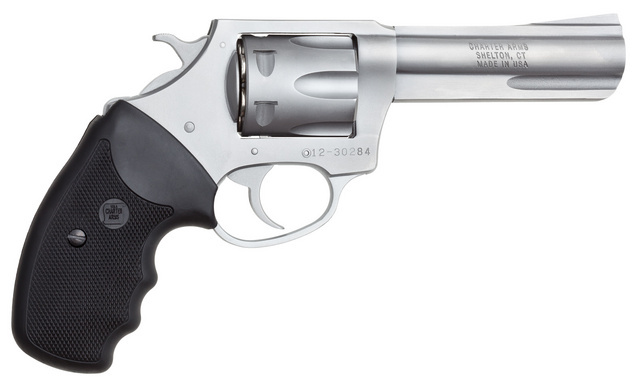 I have nothing against Charter Arms but S&W, in my opinion, is the penultimate in revolvers ( Colt being the ultimate). Nice job on the restoration. I would need a S&W64 for that. I picked up a poorly cared for Model 15, made in ’57 (as was I!) about 25 years ago; it had been in a small village police officer’s holster so long I needed a leather mallet to unload it. I shot PPC at the time, with a 586 6″. When it was stolen the M-15 stood itself in good stead, with scores only 10-15 points down; I’d obviously cleaned it, but the barrel and action were original. Some day I’ll refinish it; meanwhile it has an interesting story to tell!